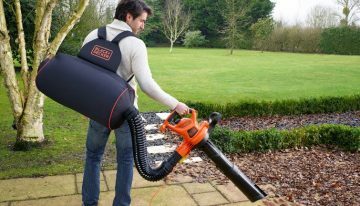 Why Leaf Blower are Best for your home and Gardens? There are some good reasons to use a leaf blower. They are faster, easier, and require less effort than raking does. Unfortunately, most leaf blowers are used improperly from the get-go. For example, instead of using a leaf blower to clear an entire lawn of leaves, a leaf blower should be used … [Read more...] about Why Leaf Blower are Best for your home and Gardens?